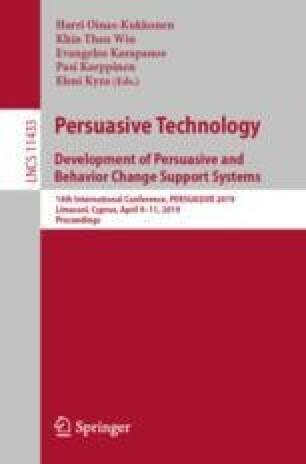 Persuasive technologies use a variety of strategies and principles to encourage people to adopt and maintain beneficial behaviours and attitudes. In this paper we investigate the influence of Cialdini’s seven persuasive principles on people’s choices, actions and behaviour. In contrast to related work investigating perceived persusaion, this study analyses actual persuasion. We also investigate the impact of personality, age and gender on people’s susceptibility to different message types. Furthermore, we investigate if people’s susceptibility to different persuasive messages is consistent over time. The findings suggest that certain persuasive principles have a greater influence on a person’s actions than others, with Reciprocity and Liking being the most effective. Our results differ from work investigating perceived persuasiveness, suggesting that what people perceive to be more persuasive is not necessarily what will persuade them to perform an action. Moreover, the study showed that people’s susceptibility to different principles is dependent on their personality traits, and it remains constant with time. The findings from this study have implications for future work on personalising persuasive strategies and designing digital behaviour change interventions. The authors would like to acknowledge and thank all the volunteers who participated in the experiment and provided helpful comments. The first author is funded by an EPSRC doctoral training grant.